Hi all! Today I want to share with you one of my absolute favourite dishes! It is super versatile, easy to make and delicious! You can spread it on your sandwich bread, make a yummy wrap with some veggies for lunch, or have it as a delicious dip when you have your friends over. Hummus… just the word sounds delicious. And not only is it so tasty, it is very beneficial for your body too. And here I am talking about the real homemade hummus, not about the processed and tasteless dip you can buy in the supermarket. This is because it is rich in proteins which will keep you full for longer. 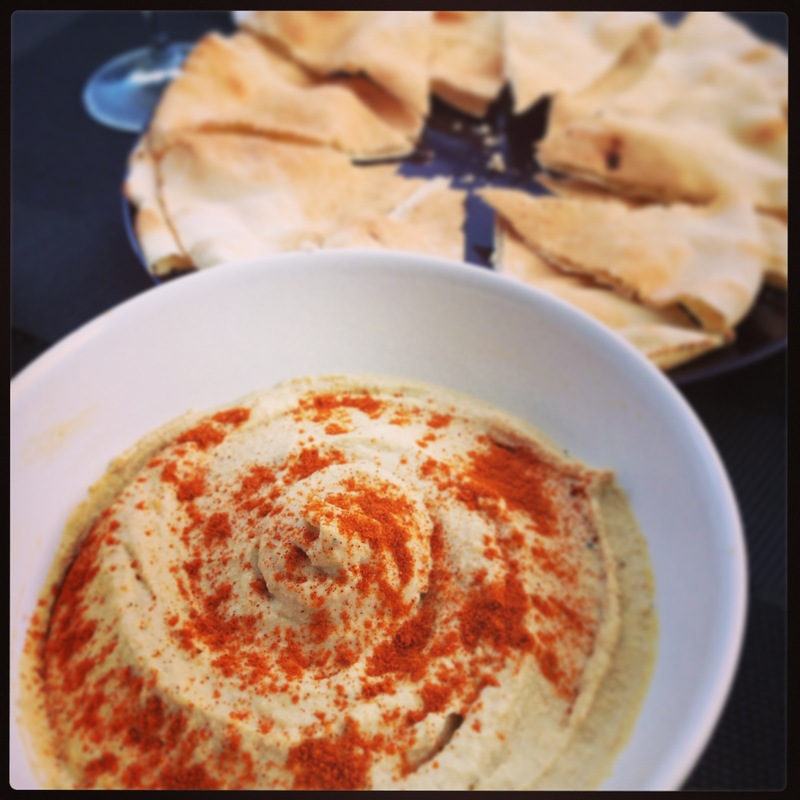 Hummus also helps balance the blood sugar levels, and the iron content in it will give you a boost of energy. Some studies suggest chickpeas can actually lower cholesterol levels and the fiber they contain aids digestion. 200g cooked organic chickpeas. You can get them from your health store (buy them in jars rather in cans!) or if you have the time cook them yourself! It doesn’t take much of an effort and you will notice the difference in taste. You will need a blender or a food processor to prepare the hummus. Rinse the chickpeas and place them in the food processor. Add the olive oil and add more lemon, cumin, salt or garlic to adjust the taste if needed. Blend again. Place the hummus into a plate and drizzle with some red paprika or use it for your sandwich or wrap. oooo, this is a keeper! I love hummus and this recipe looks simple and delicious, thanks! Great! 🙂 Let me know how it turns out.